The AFM imaging and force measurements mentioned in this article were performed using CB3 of the NANOSENSORS™ uniqprobe qp-BioAC. Supplemental Figure. 6. From Macrea et. al “A fibrin biofilm covers blood clots and protects from microbial invasion” Mechanisms and roles of fibrin film. A, Sneddon model used to calculate Young’s Modulus, where F is the force from the force curve, E is Young’s modulus, ν is Poisson’s ratio (0.5), α is the half angle for the indenter (15 degrees for our tips), and δ is the indentation. Note that this equation is only accurate with a half angle of 15 degrees for the first 200nm of indentation. 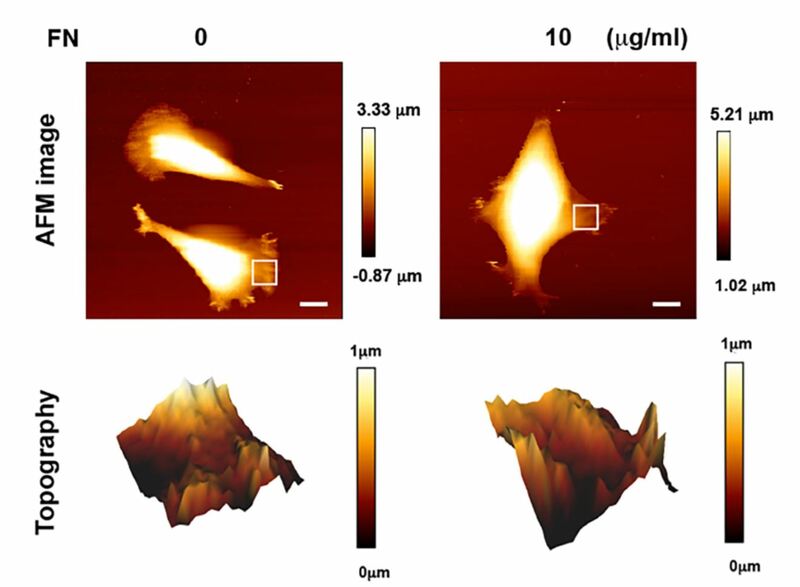 B, Strength of the fibrin film in clots produced with plasma and thrombin with or without T101 (FXIII inhibitor ) investigated using atomic force microscopy (AFM). 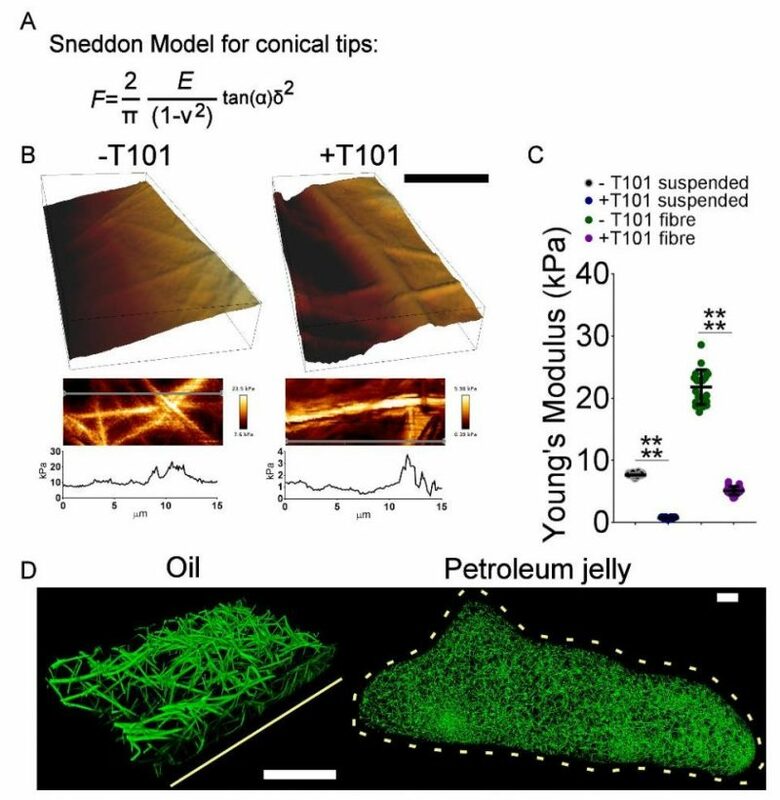 Fibrin fibres were visible under the film surface and these areas presented with stiffer Young’s modulus than fibrin film suspended between fibres. Grey lines in the zoomed-in images represent Young’s modulus scan area represented in the line force graphs. Scale bar – 2μm. C, Young’s Modulus was calculated for the suspended film and the film supported by fibers with and without T101 by fitting a Sneddon model to all AFM force curves found over the entire area that was imaged. 20 measurements were taken for each condition. **** P<0.0001. D, Clots produced from plasma with thrombin, under a layer of oil or enclosed in a ball of petroleum jelly, to eliminate the air – liquid interface, imaged by LSCM. Solid and dotted yellow lines indicate location of air liquid interface, n=3 experiments. 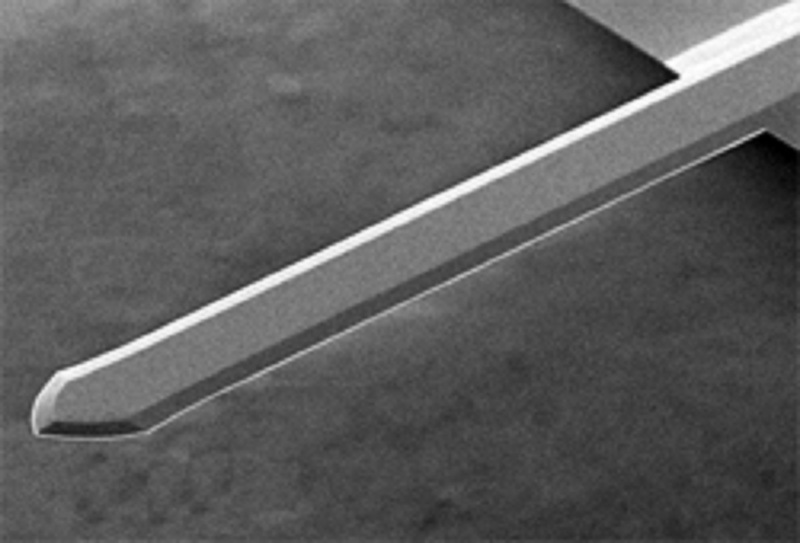 Scale bars – 50μm. The article “A fibrin biofilm covers blood clots and protects from microbial invasion” by Fraser L. Macrae et. al is licensed under the Creative Commons Attribution 4.0 International License. To view a copy of this license, visit http://creativecommons.org/ licenses/by/4.0/.